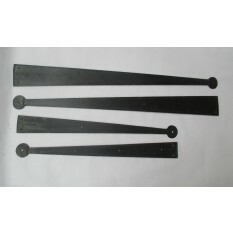 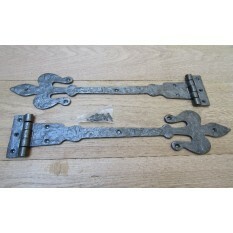 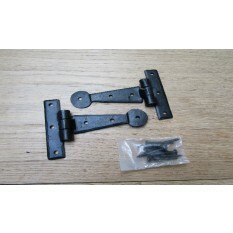 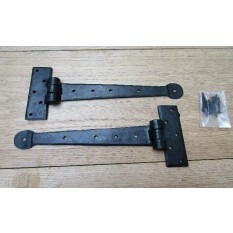 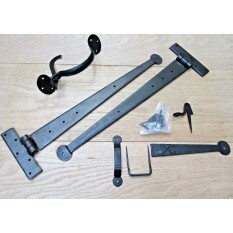 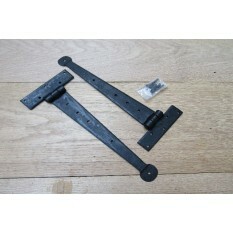 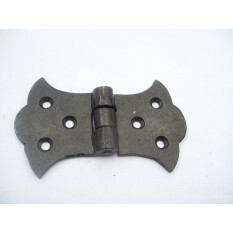 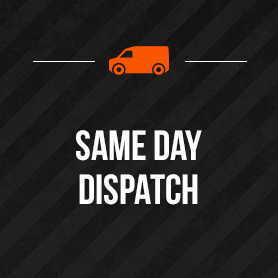 We have a wide range of Door Hinges in a variety of designs and finishes. 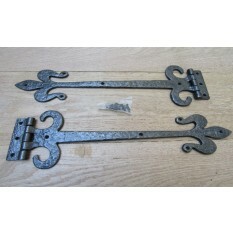 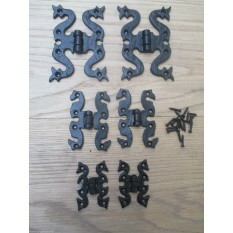 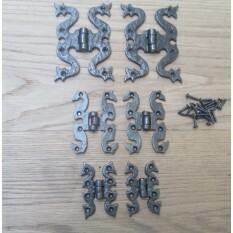 Fleur De Lys With Curls Hinges 12"
Fleur De Lys With Curls Hinges. 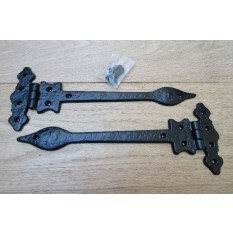 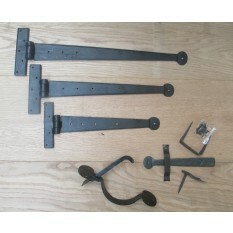 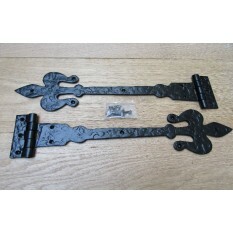 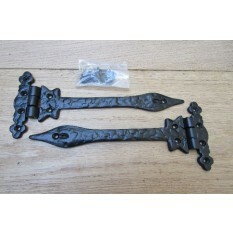 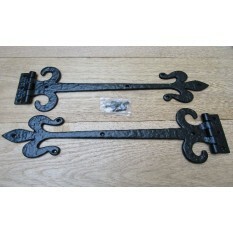 18"
Fleur De Lys With Curls Hinges 18"
Fleur De Lys Hinges Black Antique 16"
Fleur De Lys Hinges Black Antique 12"
Fleur De Lys Hinges Black Antique 18"
Handforged Penny End Hinge 12"
Handforged Penny End Hinge 16"
Black antique iron fancy ornate leaf tee hinges 6"
Leaf Hinge Black Antique 9"
Leaf Hinge Black Antique 12"
Arrow Leaf Head Tee/T Hinge 12"
Handforged Penny End Hinge 8""
Handforged Penny End Hinge 4"
Handforged Penny End Hinge 6"
Handforged Penny End Hinge 18"
Fleur De Lys Hinges 18"
Black Beeswax traditional penny end door t tee hinges 18"
Black Beeswax Hand forged blacksmith traditional penny end door t tee hinges 15"
pair of vintage ornate cast iron door hinges..